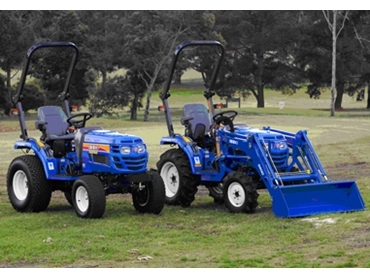 Iseki TM Series of premium compact tractors is now available from AGCO Australia . Upgraded from the current range of tractors with new features to meet operator requirements, the two new tractors in the TM Series offer improved performance, versatility, comfort and control, according to Ross Greig, product manager for Iseki. The new features enable use of a bigger range of implements, allowing the operator to complete a wider range of tasks. The new TM Series compact tractors are available in two options: TM3245 22hp tractor and the TM3265 26hp tractor. While compactly designed, the new tractors give the operators the feeling of being in a bigger tractor with more comfort and convenience in managing the controls. The new TM Series compact tractors are engineered to perform primarily as a tractor and can also be used as mowers. The tractors are suitable for small acreage farmers who can experience the performance and power found usually in higher horsepower tractors.